We all love food, even if you’re anorexic, you still love it deep down inside! I thought the ‘mouth watering expression’ you get when you see food was just an exaggeration, but trust me, it isnt! There are so many diverse ethnicites in Nigeria, and each with its own delicacy, but I’ll just put up a few which appeal to me. Im a Yoruba girl by the way, so some of these may not come as a surprise to you. Oulalala, this is the first one on the list! It is the round, golden brown, soft, mini-sized balls that just stick to your tastebuds the moment you take a bite. Can you already guess what it is? Yes yes, you are right! 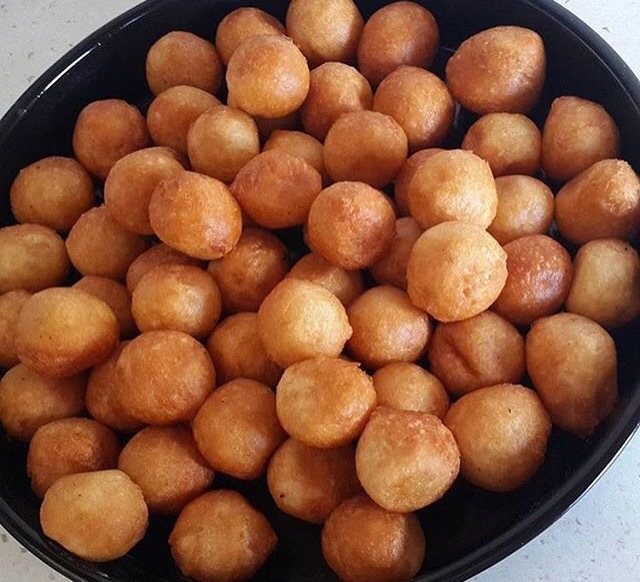 Its the award winning puff puff as we Nigerians like to call it. 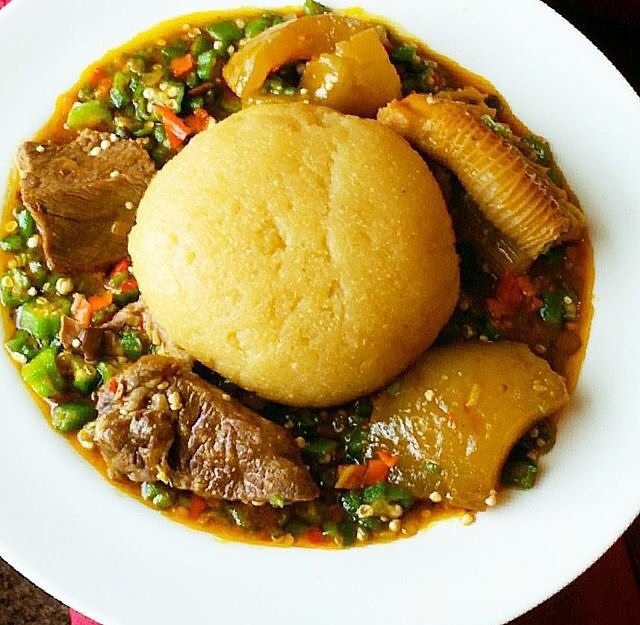 See how that beefy goodness blends in with the tasty green goodness, and the Eba goodness and the ponmo goodness. Oh my goodness! 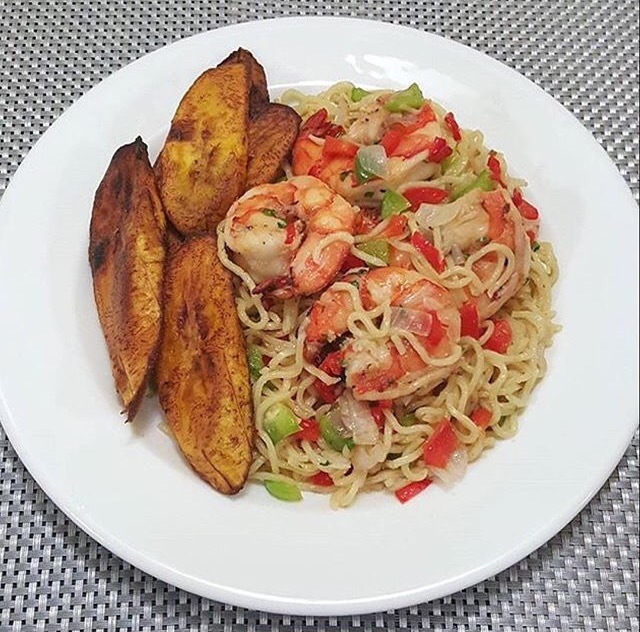 “Indomie Indomie Indomie noodles…”. I know you know this one, you’re probably humming this tune already. This is an all time legend, saves you from any degree of hunger just within a few minutes of cooking. Children rush back from school to have this, and the best part is that you can make it to suit your taste, or not. Well, I personally love it! Oh! 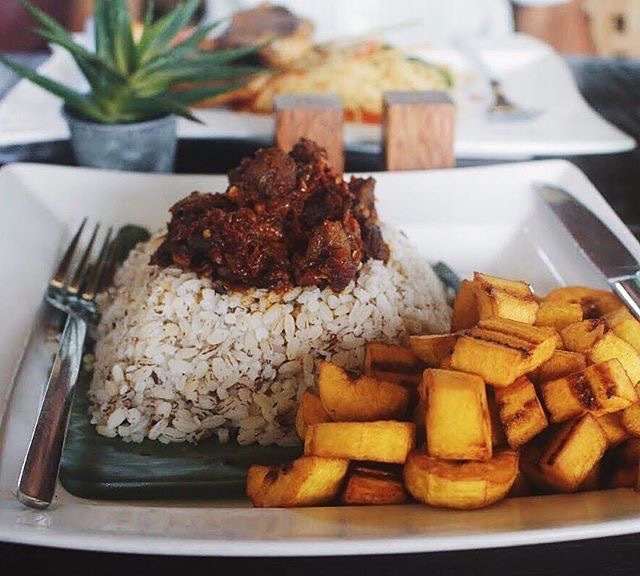 This is another one from me to you, its Ofada rice topped with peppered sauce, fried plantains and assorted proteins. Good part about this is that it tastes so good and its healthy at the same time! Good for all ‘y’all’ weight watchers like me. “Mummy mummy, I want meat pie and…”. Yes, it is that tasty snack children love, and we adults grab when we just need to let loose a little. 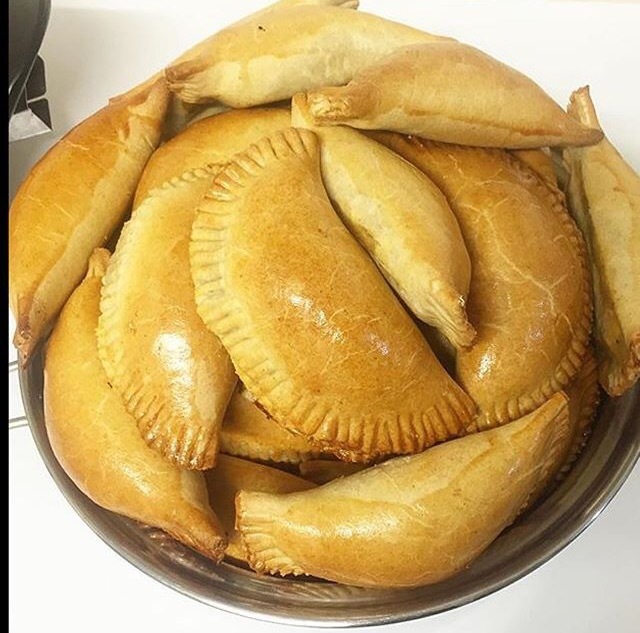 You have to love meat pie, especially ‘as e dey hot’! And the last but not the least on this great list is the Micheal Jackson of the typical Nigerian delicacy. It is the secret to a mans heart; it is that thing that your mother forces you to learn so you get and keep your husband, the same thing that makes you sweat, but you know it’ll all be worth it by the time you balance with that plate, it is the Baba of pot bellies and most of all, it is the key to sweet satisfaction! 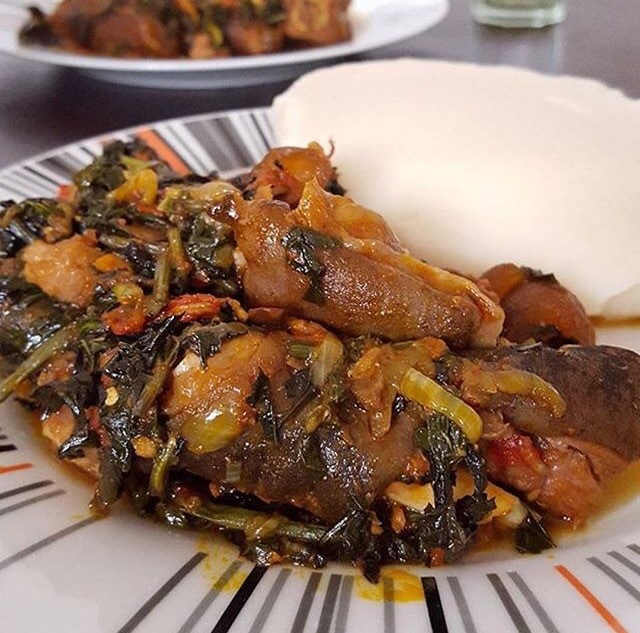 Its is Pounded yam with Vegetable soup (Efo Riro). Hmm… Cant you taste it already? Careful, dont eat your screen. Well, that is all for now. I hope I havent confused you, but convinced you to either run to your kitchen, the market or ‘Iya Amala’ (eatery) to get some or even everything on this list as the tummy permits. 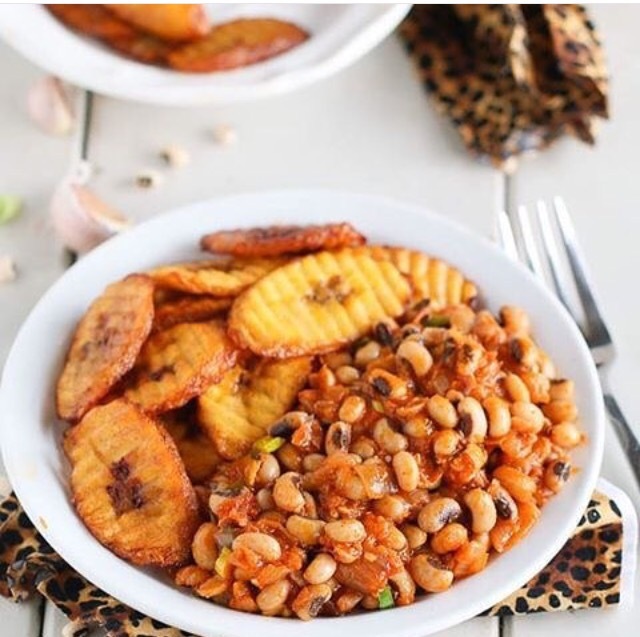 Note: most of these pictures are courtsey of @africanfoods, so go follow them on instagram to see more mouth watering african delicacies!